Remember that Easter bouquet I made from plastic eggs? 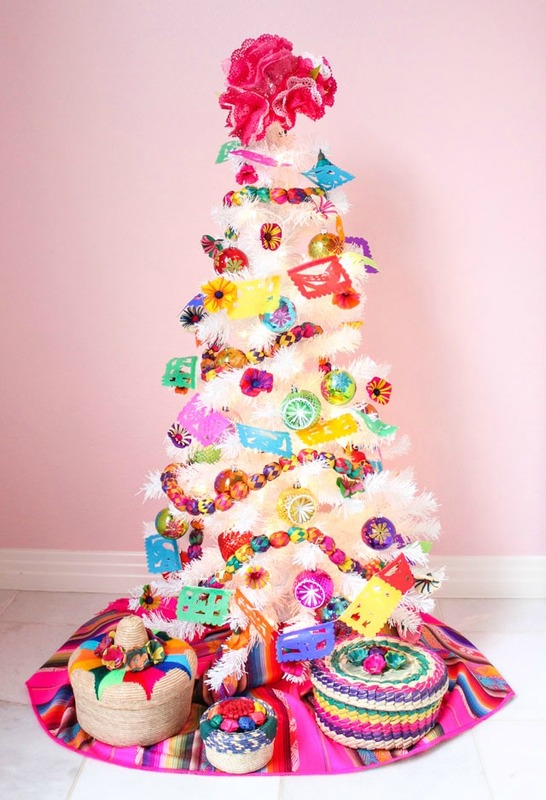 Well I thought it would be fun to try something similar with ornaments. 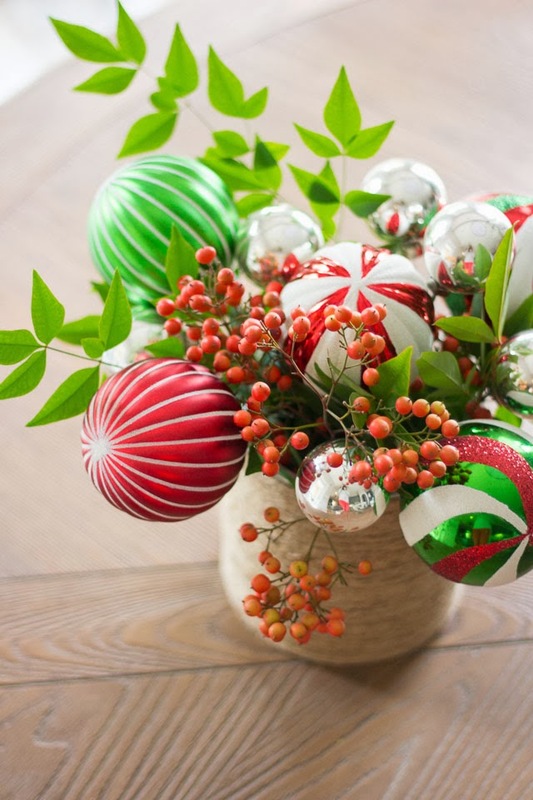 Introducing the ornament bouquet! 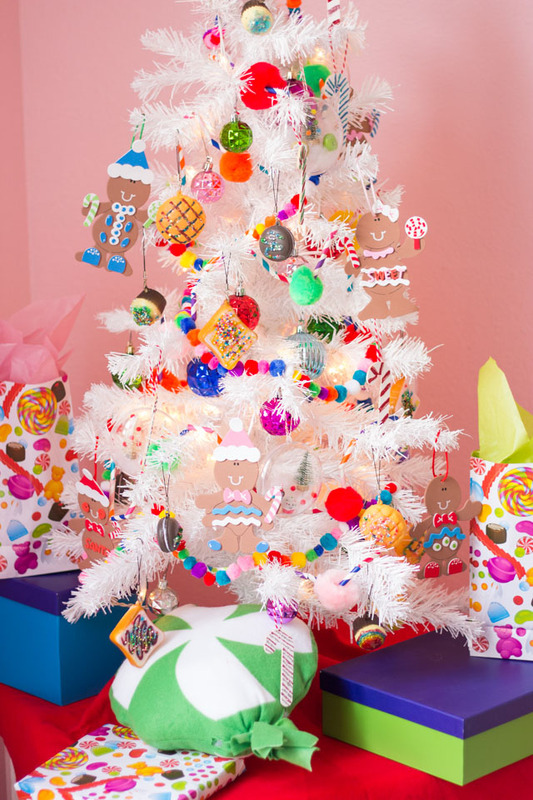 If you have some extra ornaments that didn’t make it on the tree this year, this would be a fun craft to try. 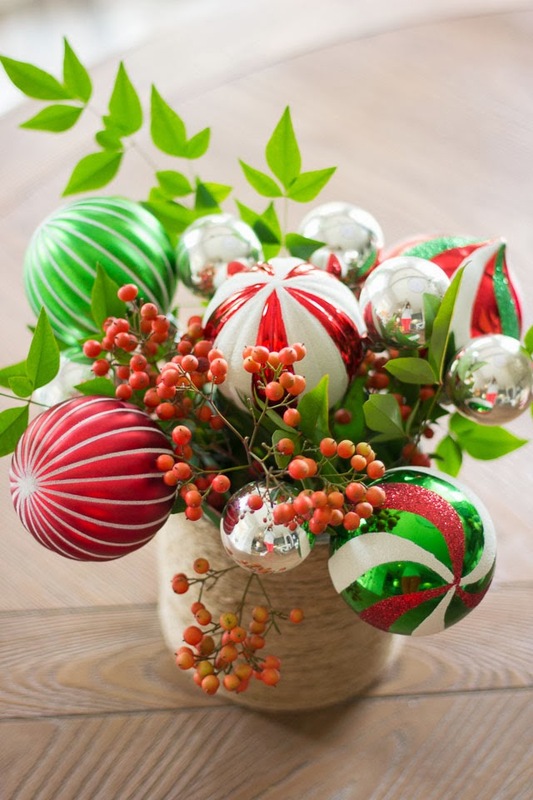 It makes for a pretty table centerpiece. I think the addition of fresh greenery is really what makes this bouquet work. I just cut some foliage from our yard (I was so excited to discover these bushes with beautiful red berries at our new home!). 1. 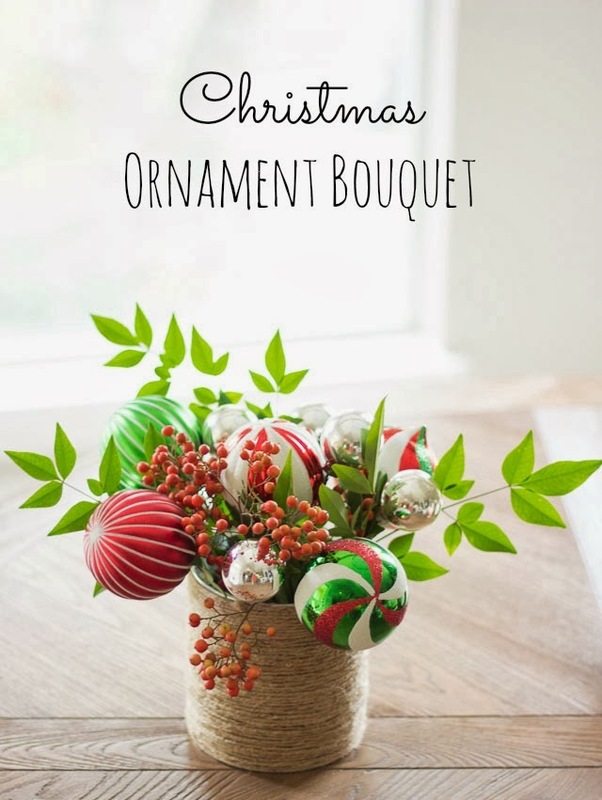 If needed, cut your floral foam to fit the bottom of your vase. 3. 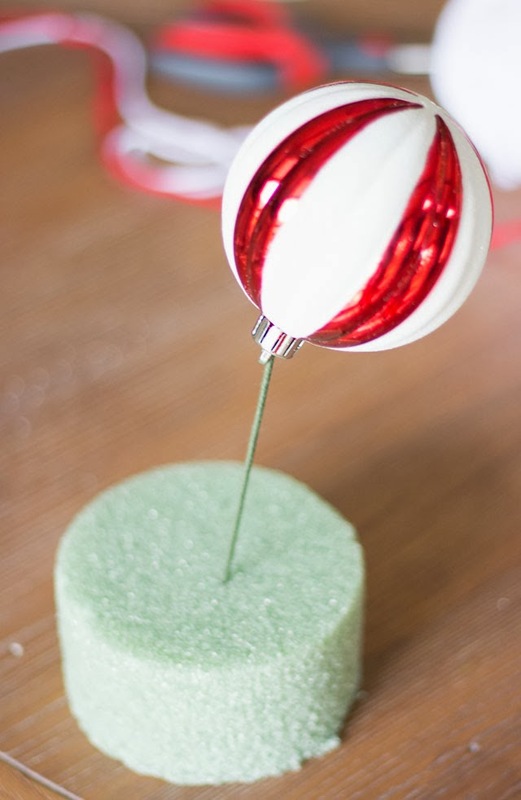 Stick your ornament “flower” into the floral foam. That’s it! 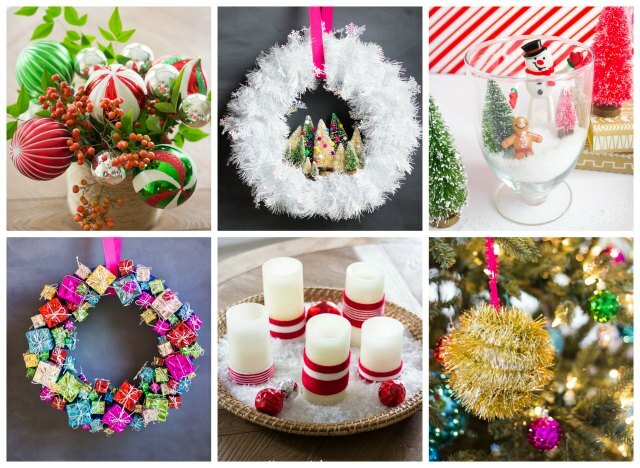 Continue with the rest of the ornaments you want to use for your bouquet. I used 5 large ornaments and 5 small ornaments for my bouquet. 4. 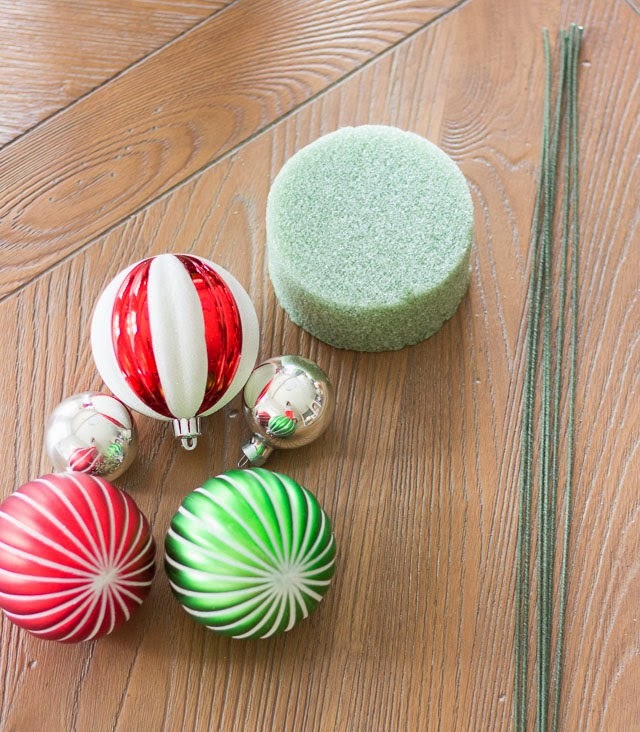 Put the floral foam with your ornaments in the vase and finish off with some fresh greenery. 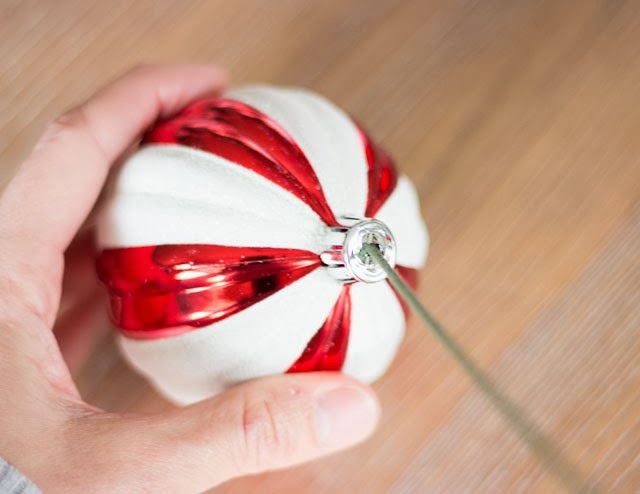 You can make this in a matter of minutes! 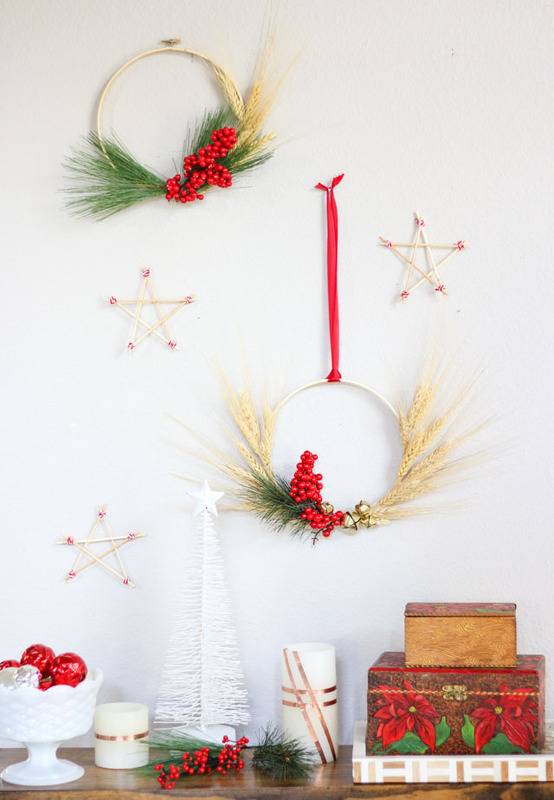 Like this simple Christmas craft! 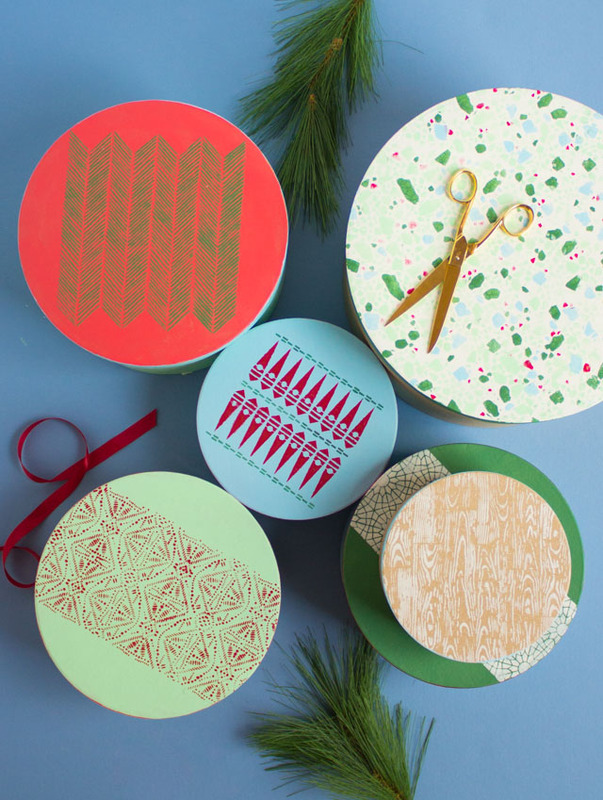 Then check out my holiday craft page for more!